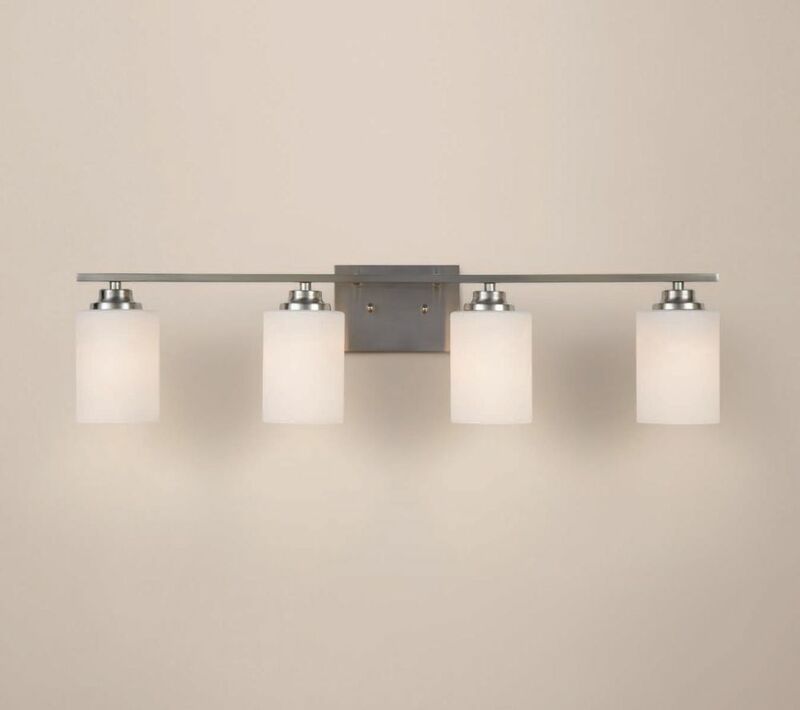 This 4-Light Vanity Light is the perfect light for any bathroom or bedroom. Ideal for use in kitchens, restaurants, bars, and dining rooms - this vanity light delivers the perfect unique look. 4-Light Brushed Nickel Vanity Light with Round Glass Shades This 4-Light Vanity Light is the perfect light for any bathroom or bedroom. Ideal for use in kitchens, restaurants, bars, and dining rooms - this vanity light delivers the perfect unique look. 4-Light Brushed Nickel Vanity Light with Round Glass Shades is rated 3.0 out of 5 by 2. Rated 1 out of 5 by Beyond from Poor Quality The bar holding the 4 lights was slanted exchanged for a second one and same issue. The bar probably cannot withstand the weight of the lights.